Keeping it short, if you have a credit card, start using it, pay off on time and you can fix your credit score fast. However, make sure that you are keeping credit utilization less than 30%. This is not the only way to build credit fast with a credit card. There are several other ways as well. Your credit score can be improved even when you are not using your credit card. Whatever, your approach is, get a credit card and always pay off on time. Always have an open credit card account. 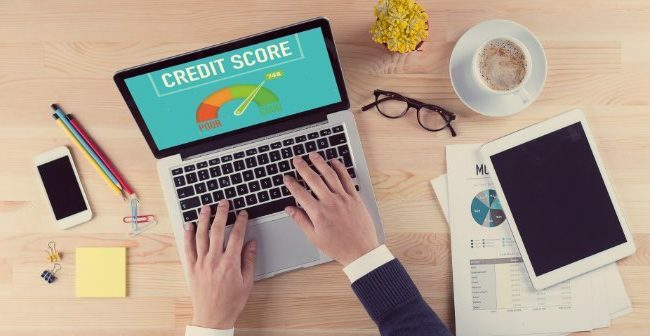 Your credit history is one of the biggest contributors to your credit score. If you are here to learn how to build credit with a credit card, there are different approaches for achieving this and we bring you the ideal approach. First of all, apply for a starter credit card or secured credit card. Set up automatic payments of monthly bills from your bank account. Do not use more than 30% of the credit limit. Use 1% to 10% of the credit limit. Always pay your balance on time. You can also become an authorized user on one of the family member’s credit card. Monitor your credit on a regular basis. Any error or false information in your credit report can reduce your credit score. So, make sure that there is not any such irregularity in your credit file. Apart from that, you can also work with professionals offering the best credit repair services. You can get personalized tips for fixing your credit score fast. They are expert in creating strategies for building credit using credit cards. Experts can also help you in choosing the right credit card for building credit fast. You are actually sending a good signal by making purchases using credit and paying off on time. In the eyes of creditors, it is a responsible credit behavior. You are demonstrating that you are responsible enough to handle debt. If you strictly stick to payment deadlines, you are a trustworthy borrower. Never borrowing money is not good for you as the creditor cannot have any idea of how you will act if you are given a loan or a credit card. Make sure that you have a positive credit history. Use less than 30% of your credit limit. Having and not using a credit card can improve your credit score. Positive information will be reported to the credit bureaus every month. It is a “current” account. Although it will be slow, you will be able to build your credit. If you don’t have any account or you are too young to have any, you too can build credit score with credit card. Become an authorized user on the account of one of your family members. You will have a credit card connected with that account. You will be able to make a purchase. However, you will find the information of that account as well on your credit report. As it is not your credit card, your credit will be built slowly. Consider your needs and do some research before applying for a credit card. Pay on time as it will not improve your credit score but also increase your credit limit. Paying in full on time will save you on interest. If you are spending more than 30% of the credit, this can damage your credit score. Always check your credit report and score on a regular basis. You will be able to spot errors and false information in your credit report. This will also keep you on the right track.